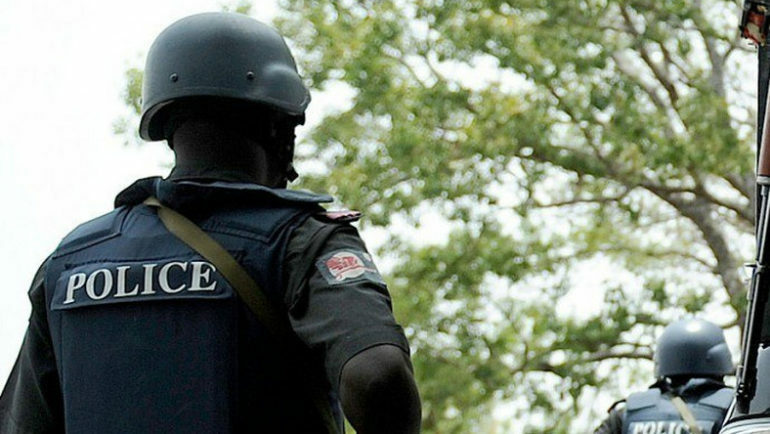 Three trigger-happy Policemen attached to Soloki Police Station, allegedly shot a motorcyclist to death on Thursday, at Kilo, in the Surulere area of Lagos. The victim identified as Ademola Moshood was reported to have closed the business of the day and was just about a minute ride from his home before the fatal incident. Eyewitness accounts have it that Moshood was stopped by three Policemen who stopped him, demanding for 200 bribe. The victim refused to give them as he had closed for the day. They beat him with a baton after which one of the officers who was armed walked to the side of the okada rider, pointed a gun to his head and pulled the trigger. The trio simply identified as AK, Patrick and an unknown officer, fled the scene on sighting that Moshood was dead. They left with his motorcycle in their van, leaving him in a pull of his own blood. Residents of the area alleged that police officers from Soloki police station daily engaged in the extortion of commercial bus drivers and motorcyclists. Witness accounts indicted the alleged culprits. Another witness confirmed that they left with the deceased’s bike without care that he laid on the ground in a pool of blood. A witness named Mr Emmanuel said: “AK led the team of policemen on the extortion mission with two other officers, and he was the one who pulled the trigger after the motorcyclist refused to drop something for them. Residents stormed the Police Station in protest of the incident but were visited by policemen who shot at them after they spotted the three culprits hiding behind a van in the compound. “At the station, the officers who killed the man were seen hiding around a van and pretending as if nothing happened. When we asked that they should produce the man that killed Moshood, other officers started shooting at us, telling us to leave,” one of the residents said. It took the intervention of the Area Commander, G.I. Eze, who pacified the angry residents. He expressed displeasure at the act of the officers and said they would be tried and prosecuted accordingly, assuring that the matter would not be swept under the carpet.